Earlier this month, NSW was declared 100% in drought, with 23% of it in ‘intense drought’. Farmers were not only struggling to feed their crops and animals, but their families too. This current crisis is the worst drought that we have seen in the last 400 years. Although the State Government announced $1 billion in drought relief aid, every day Australians decided that they wanted to pitch in too to support the farmers. During the week of 13 August, the students and staff at Macquarie Community College committed to raising money for NSW farmers through a local charity, A Fiver for a Farmer. This charity was the brainchild of a 10 year old boy who had been learning about the drought and how young kids were skipping school to help out on the farms. 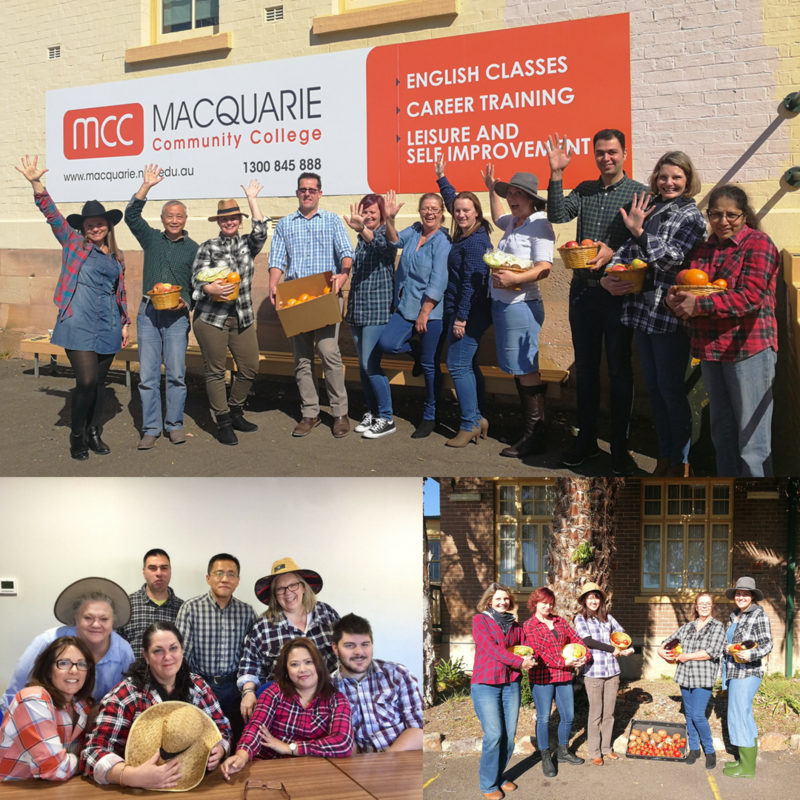 At Macquarie Community College, we dressed up as farmers for the whole week and provided fruit and vegetables to people who donated. Students in some of our English classes also incorporated farming into their daily classes. They watched videos, learnt new vocabulary, and wrote assessments focussed on the theme of farming. Across our campuses in Carlingford, Chatswood, Mt Druitt and Richmond, we raised $2360. Overall, A Fiver for a Farmer has helped raised over $650,000 through the 950+ schools, businesses and organisations that have become involved. It's not too late to donate - every dollar counts! Thank you to Macquarie Community College students and staff for supporting the farmers!